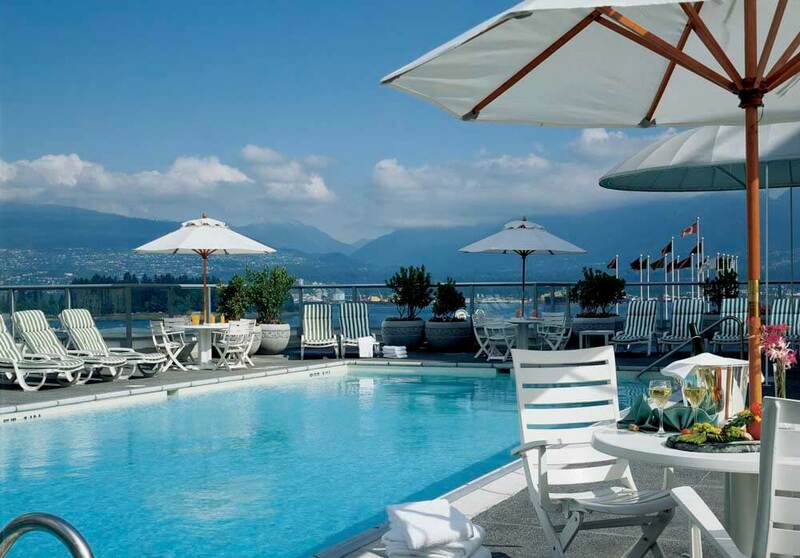 The hotel offers four hundred and eighty nine spacious, elegant and comfortable rooms and suites. 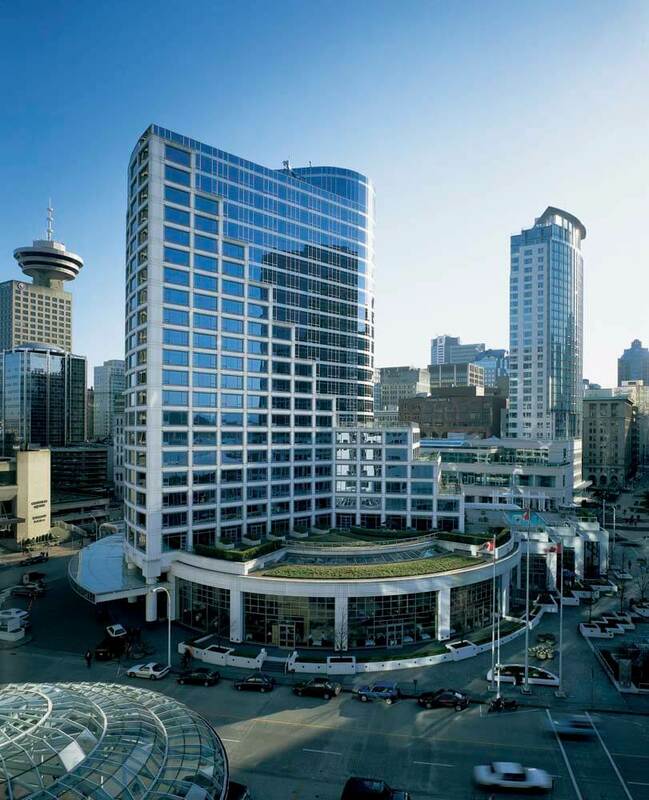 Fairmont Rooms feature floor to ceiling windows overlooking the dramatic architecture of the downtown Vancouver skyline. 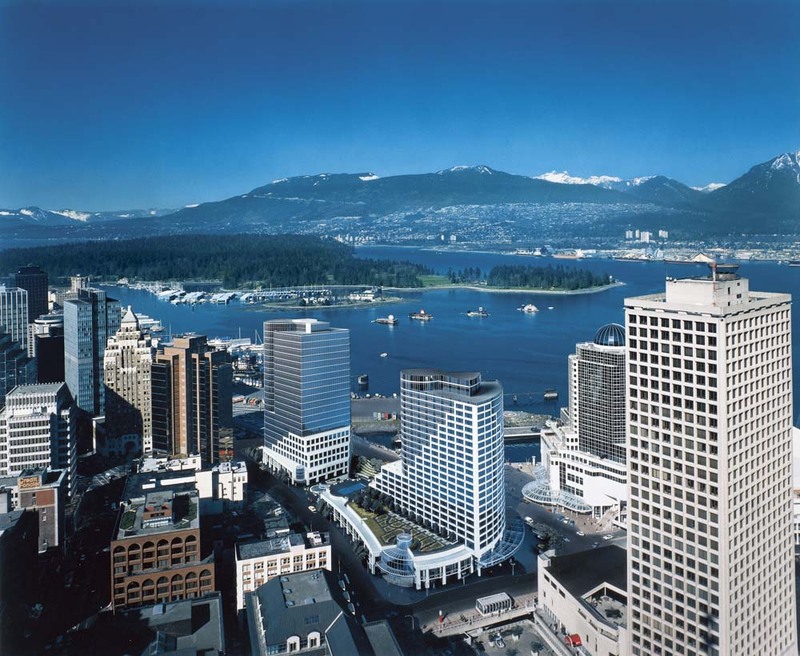 Portside Deluxe Rooms are the front row seat to Vancouver’s port activity with a backdrop of the North Shore Mountains. 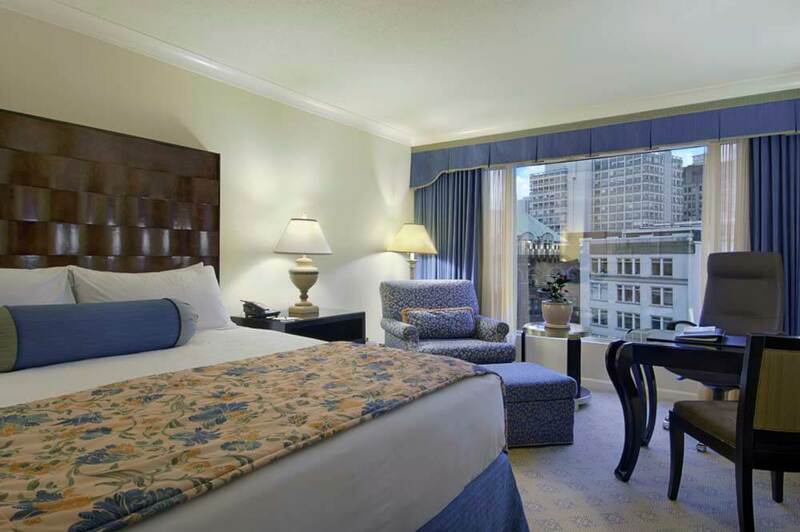 Waterfront Deluxe Rooms offer spectacular harbour views. Signature Rooms are exceptional corner rooms with one hundred and eighty degree views of all that harbour has to offer. Waterfront Suites are exquisite harbour view one bedroom ‘junior’ suites and offer a spacious living area with separate bedroom through French doors. One Bedroom Suites, overlooking the park and mountains, consist of a guest room with full bathroom connecting to a parlour room with Murphy bed and bathroom with shower only. Two Bedroom Suites, also overlooking the park and mountains, have one queen bed in first bedroom and two double beds in the second one. 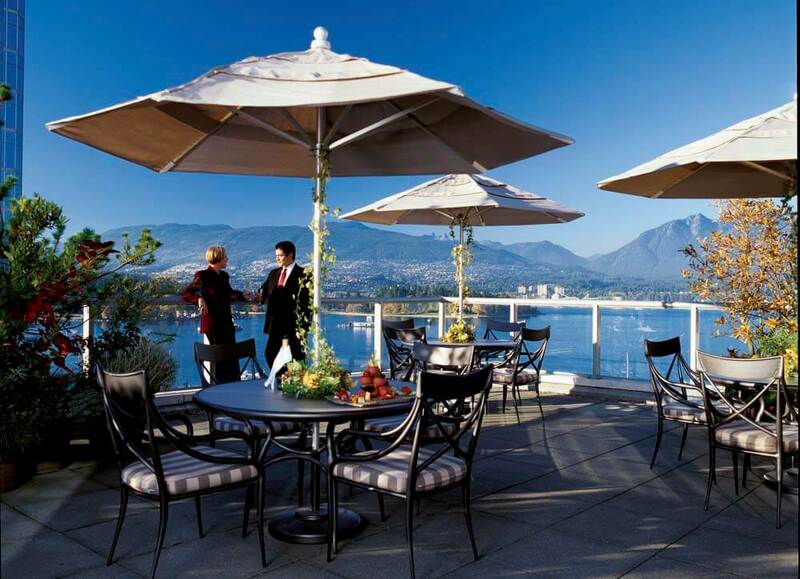 Fairmont Gold guests enjoy private check-in and check-out services in Fairmont Gold reception area on the 9th floor, access to a comfortable private lounge featuring a spacious terrace with views of Stanley Park and the cruise ships. The lounge offers cocktail hour hors d'oeuvres and a complimentary deluxe continental breakfast. The Herons Restaurant and Lounge offer a comfortable, relaxing atmosphere. Casual setting by day, with elegant evening dining by candlelight, the open-kitchen offers culinary masterpieces featuring British Columbia's regional cuisine prepared with only the finest and freshest products.